How can Manufacturers leverage Social Media as their primary Marketing Tool? In the previous blog, we had listed various methods to increase the market visibility of your organization through various digital platforms. One of the steps included gaining traction through Social Media Marketing i.e. using social media platforms to reach out to your prospects and users. One might argue that majority of manufacturers sell to the B2B segment and the rest sell directly to customers. Therefore, for the majority, the audience scope gets limited to machine operators, manufacturing owners, maintenance engineers, plant supervisors, suppliers, other manufacturers etc. and these people won’t have a social media account or interact even if they have one. Well, times have changed and today, interacting with your audience on social media is not an option, but an absolute necessity. Let us look at each social media platform and how you can use them to gain visibility, use it as an interaction tool and market your product effectively. No doubt, Facebook is the most popular social media platform in the world. It has become a social media powerhouse that also brought Instagram, WhatsApp and other platforms under its umbrella. Initially designed as a personal site to interact with other people, it has come a long way with many businesses utilizing it to reach out and interact with their target audiences. Facebook might seem a bit irrelevant as you are more interested in connecting with B2B audiences based on their business type. 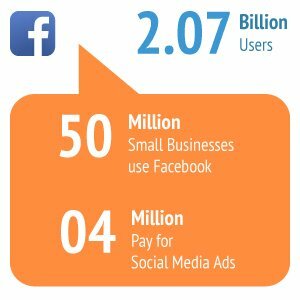 This might seem true to an extent, but with more number of businesses having their company pages on Facebook, you have a good opportunity to connect with them. Facebook can be a good arena to showcase your strengths as a manufacturer. Through various medium such as blog posts, videos, images, GIFs, you can convey your manufacturing techniques & expertise, product uniqueness, technology, employee-friendly practices, customer testimonials, job vacancies, events, news etc. This generates interest and curiosity within the target audiences thereby generating in-bound traffic to your page and your website too. Word-of-mouth communication can lead to incoming prospects and enquiries through Facebook. Also, there are many manufacturing groups and forums that you can be a part of. These groups share useful industry information, company expertise, requirements etc. and usually used as an interaction platform. The slew of constant activity generates organic traffic to your page. Facebook also gives you an option to create Facebook Advertisements for a targeted audience by paying a prescribed nominal fee for a specific period. This greatly boosts inbound traffic to your page and increases inorganic traffic/likes. Facebook also has various features such as a Call to Action button that can be configured to take users to your ecommerce platform or website to buy your products. 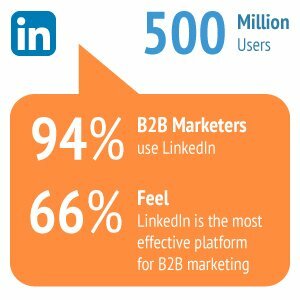 LinkedIn is the largest B2B professional platform that can be completely utilized to promote your products and business. It is home to a vast number of business owners, employees, freelancers spanning across multiple industry types and segments. LinkedIn works similar to Facebook where you can create your company page, include branding & comprehensive company content in your profile. You can post videos, blogs, articles, infographics that goes into the news feed for your followers and general audience to view. You can be a part of various industry forums, groups and interact with business owners and employees. You can also post targeted posts that will reach a specific number and category of businesses and professionals. There is an interesting feature where your peers, customers can recommend your products and services on your company page. These act as testimonials that can have a great effect on your prospects. Similar to Facebook, you can go for LinkedIn Paid Advertisements that target a specific category of businesses and professionals. LinkedIn being a strictly professional platform is far more effective than Facebook in terms of audience-reach and in-bound traffic. Twitter is a powerful micro-blogging platform used by over 330 million active users across the globe and over 68 million in USA alone. 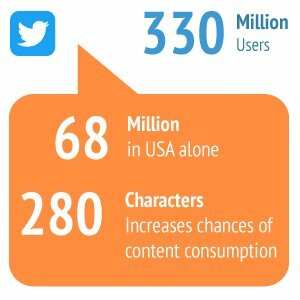 With its concept of blogging within a very small limit of 280 characters (previously 140), it greatly increases the chances of content consumption. If you have a blog with relevant industry content, you can promote it on Twitter with the help of accurate hashtags to reach the right audience. Your tweets about new manufacturing trends, insights within your company, new technology, best practices followed by your organization etc. can establish you as a thought leader and get relevant followers on Twitter. With the right keywords and hashtags, you can reach out to a wider audience who can be your potential customers, suppliers or partners. 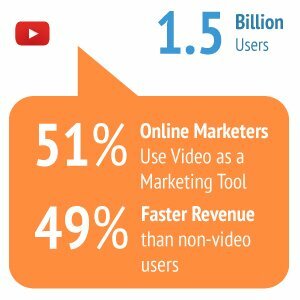 YouTube is a powerful video-hosting platform and if you believe in conveying information to your audiences through a video, this is the best platform for you. It is the most under-rated and under-utilized platform by businesses. Primarily because a perfectly curated video takes time to create and there are costs involved in terms of hiring a professional videographer, editing the video and publishing it. However, technology has ensured that anybody with basic video-capturing skills within your organization can take a good video using a smartphone, and edit it using free tools available and easily publish it on your YouTube channel. The video types can range from product demonstrations, manufacturing processes, machine operations, new machine unveiling to employee/business owner interviews, product soft-launches, sales videos, fun organization events and much more. Being a visual medium, videos have immense power of attracting audiences to visit your channel and consume content. Your prospects get a ‘live’ demonstration of the product you sell, enabling them to take quick buying decisions and close the deal with you. Also, having a sneak peak at your manufacturing processes and best practices develop a sense of trust and they are more likely to recommend your products and services to their peers. You can ensure a video’s greater reach by including the right description, tags and categorizing them into playlists accordingly. Also, YouTube allows you to include in-video call to action links, pointers, annotations etc. to guide the audience as per your strategy. YouTube in combination with other social media platforms such as Facebook, LinkedIn is a potent tool to increase awareness and sales. Instagram is a must for Manufacturers. Yes, it is a photo-blogging platform and there’s not much scope for content but aren’t photographs content too? In today’s digital age, photographs have more value than written content. A human brain can grasp visuals much faster than text and Instagram has leveraged this concept accurately. Instagram provides you the option of setting up your account as a business page. You can post photos/videos and Instagram stories which is an interesting concept of recording short video clips, photos, video loops and posting them as stories that stay active for 24 hours. Also, you can initiate live videos that can be seen by your followers and non-followers alike. Similar to Facebook and LinkedIn, you can promote your posts and also setup a sponsored ad that reaches your target audience. 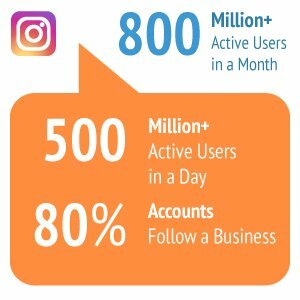 Instagram also provides you instant insights of total number of post likes, comments, overall reach, profile visits etc. Hashtags play an important role here as it defines the reach of your post to the audience. You can narrow down your audience reach using accurate posts relevant to your product/business. Also, there are various forums relevant to manufacturing and you have an option to tag them so that the reach increases. Many manufacturers have understood the importance of Instagram and using it as a primary marketing tool along with Facebook and LinkedIn. With time, you get to see quality followers following your account and even requesting for consultations, product enquiries etc. based on content you post. If you want to enhance your search listing and visibility on Google search, then having Google+ in your social media marketing portfolio is absolutely compulsory. Of course, it has other benefits too that are similar to other social media platforms. 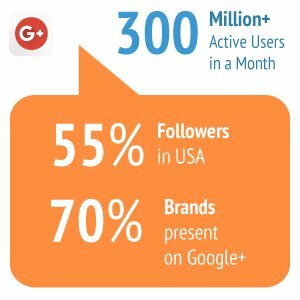 Google+ has 300 million monthly active users in the world. Out of which 55% are in USA followed by 18% in India. Many of these accounts are businesses, tech enthusiasts, software engineers, designers etc. The biggest reason why you should adopt Google+ although it is not as popular as Facebook or LinkedIn is because it is closely connected with Google Search and having an account boosts your SEO considerably. If you are posting updates on Google+, then chances are that the keywords in your posts are more likely to be given priority in the search results when searched on Google Search making it easier to find by users. This means, you are higher up in the ranking list than the others. Also, there are Google Communities that you can be a part of, similar to Facebook & LinkedIn Groups. All social media platforms mentioned above function in a similar manner except some differences that are their USPs. It depends on how businesses plan their Social Media Strategy and reap maximum benefits out of it. Having a social media calendar helps follow a certain standard of discipline and ensuring you don’t overdo your efforts on these platforms. Most of these platforms have a guide book that explains each feature in detail and how businesses can utilize them effectively. 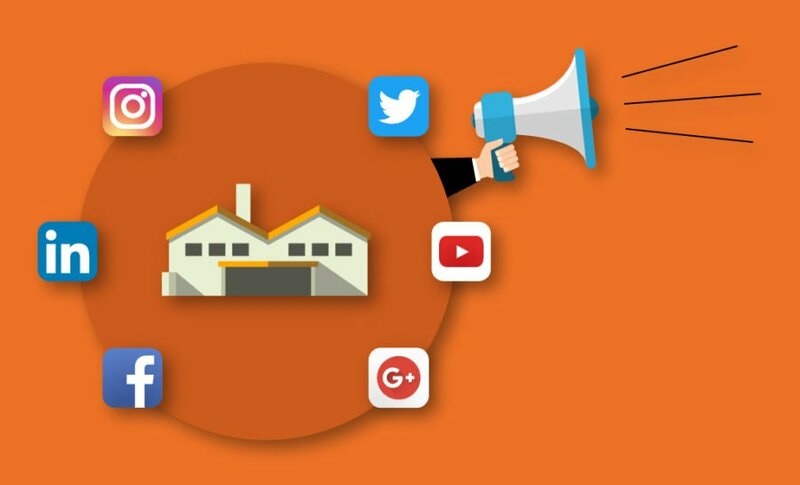 Also, there are numerous case studies on how manufacturers have successfully used social media to reach out to their audiences, create an impact and grow their business considerably. The world is racing ahead on Social Media! Have you started yet?